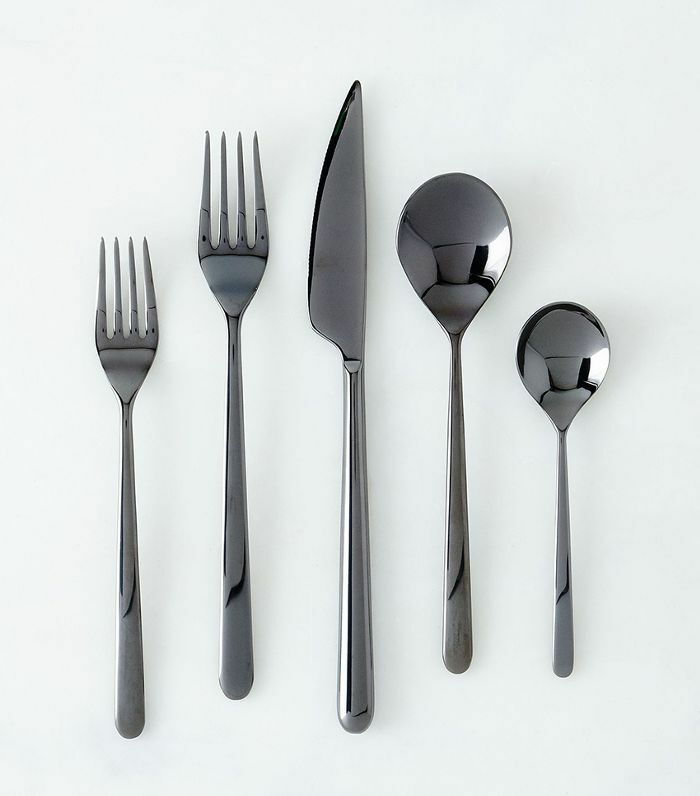 When it comes to everyday dining, flatware can be somewhat of an afterthought. Many of us started with a first-apartment starter set and never upgraded. Maybe we've moved around and mixed sets with roommates—making the utensils drawer even more of a melting pot. If this sounds all too familiar and you think it might be time for an upgrade, now's a perfect time. 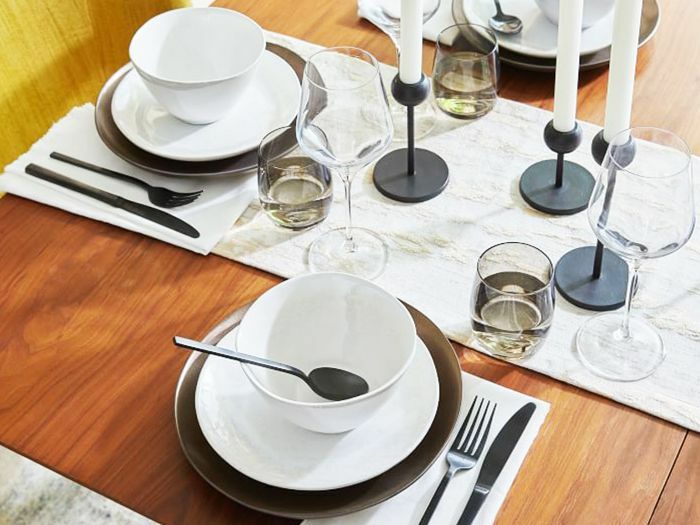 On the heels of the holiday season (and the Black Friday deals), there are not only savings to be made, but you'll also have plenty of opportunities to show off your new shiny flatware set to your many holiday dinner parties. To make the task of finding the perfect set for you (no matter how big or small your budget), we handpicked 16 of the best flatware sets out there. Bon appétit. 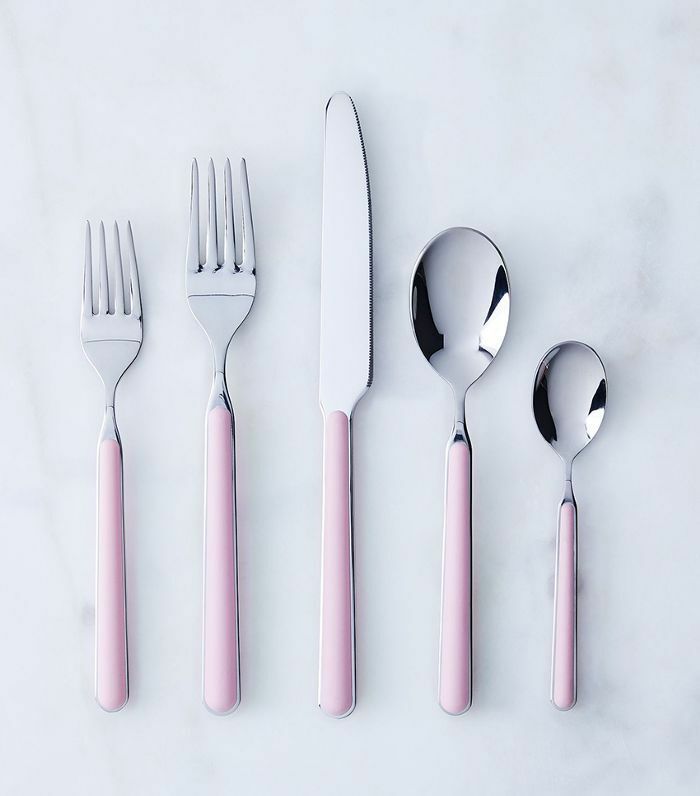 Add a hint of color to your table with this chic Italian flatware set. 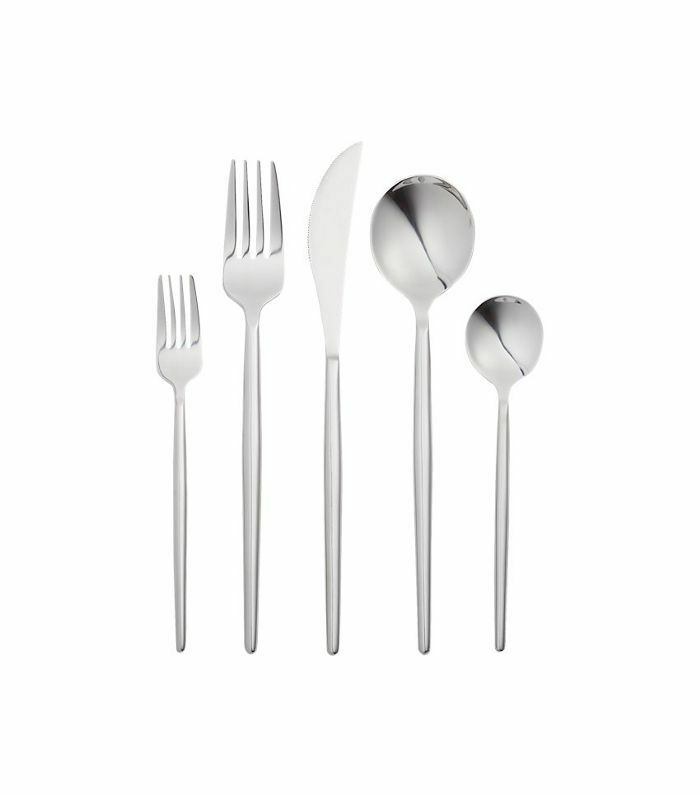 Add Danish flair to your table with this minimalistic flatware set from Norm Architects. 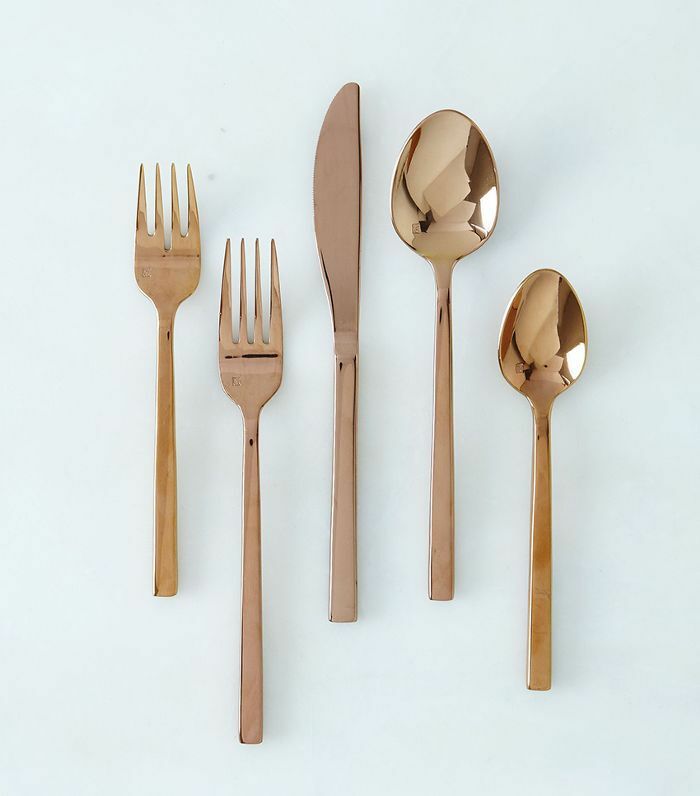 This copper flatware set will give your table a warm welcoming hue. This affordable 20-piece set from CB2 comes with beautiful black handles to give your table some personality. 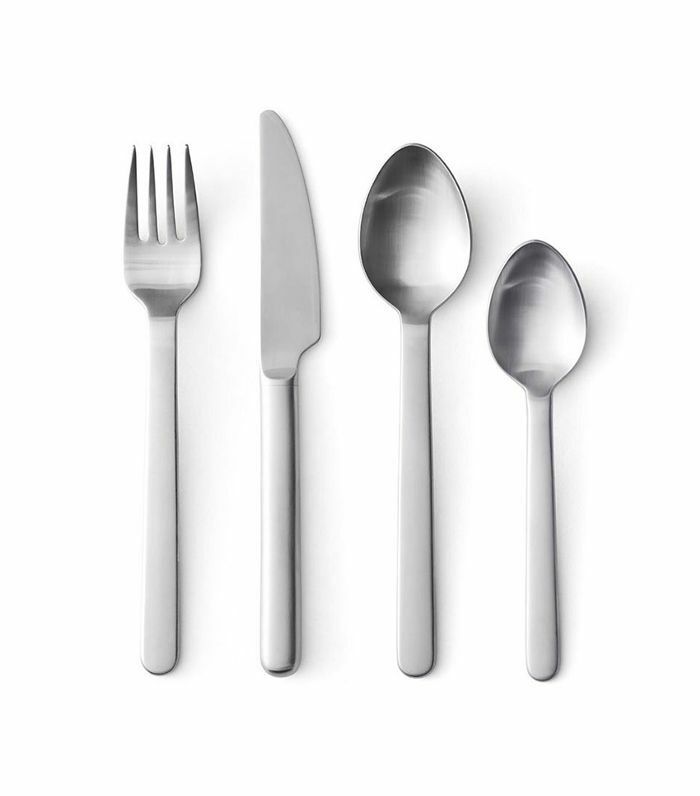 If you love upscale minimal cutlery, this flatware set from Alessi is for you. 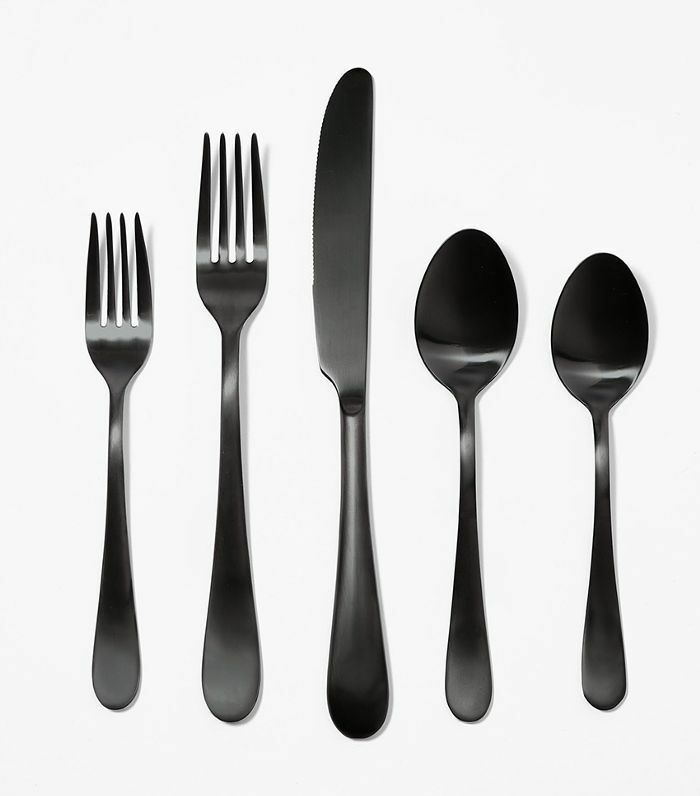 This matte black flatware set from Design Within Reach is incredibly chic and will last you a lifetime. 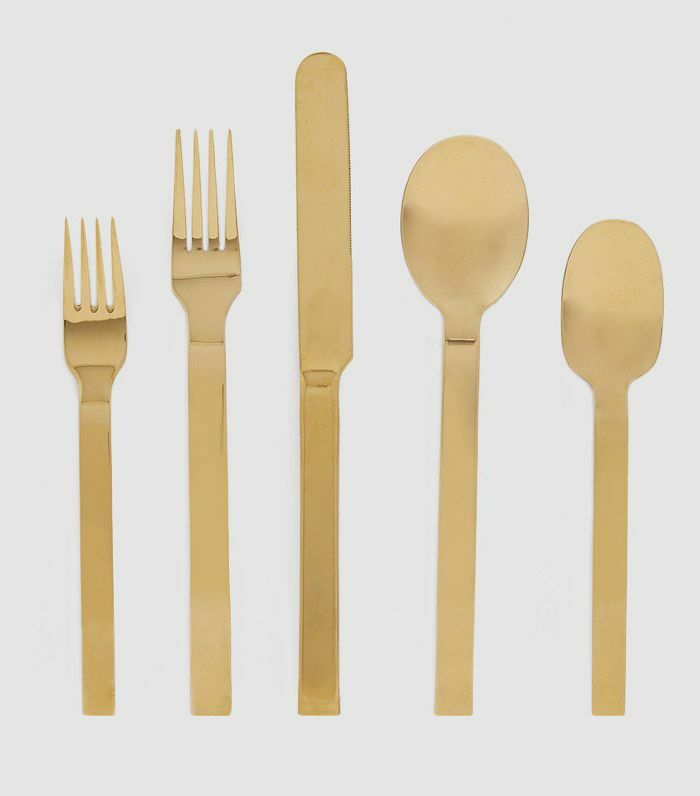 Add a taste of upstate New York to your table with this brass flatware set from Hawkins. 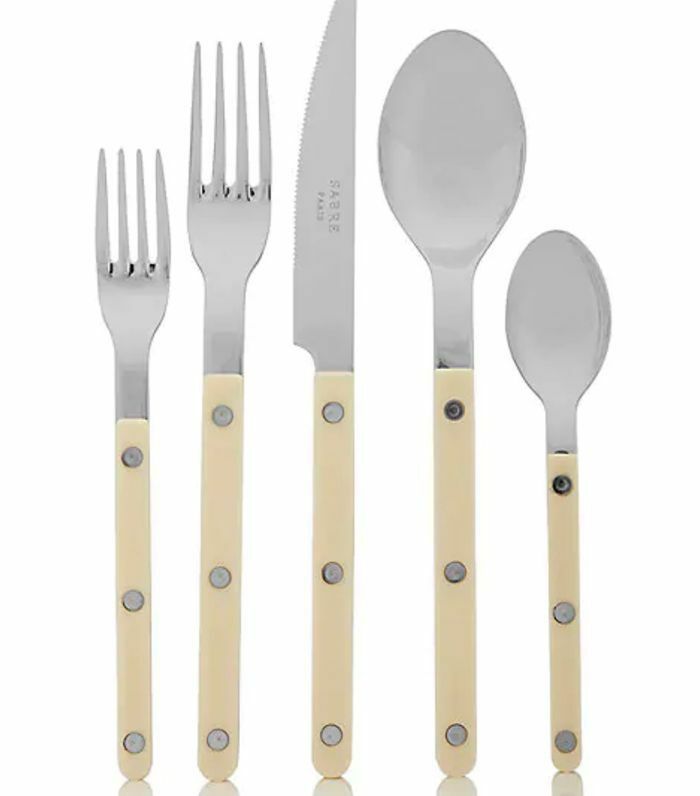 Give your table a classic bistro flair with this incredibly chic flatware set from Sabre. 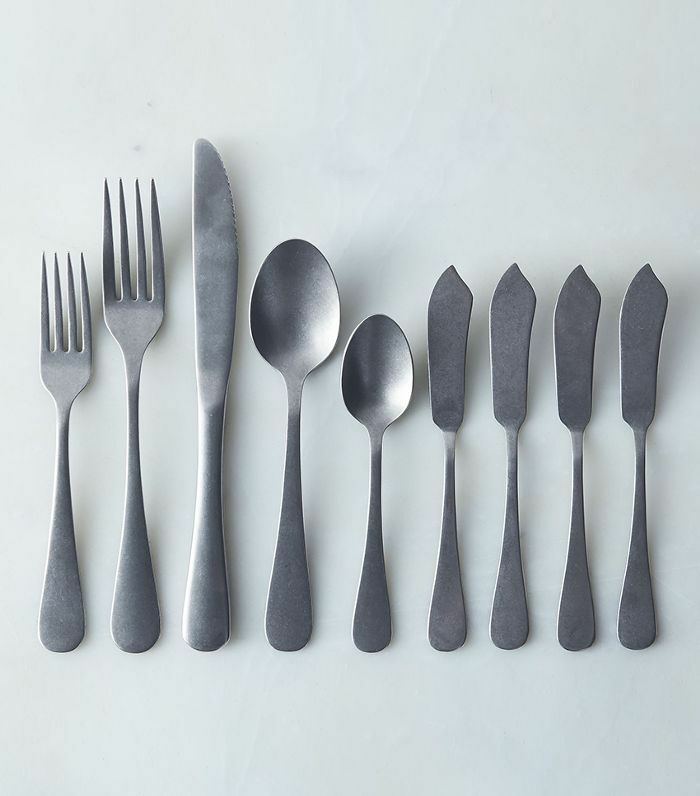 Modern farmhouse lovers will adore this rustic USA-made flatware set from Farmhouse Pottery. 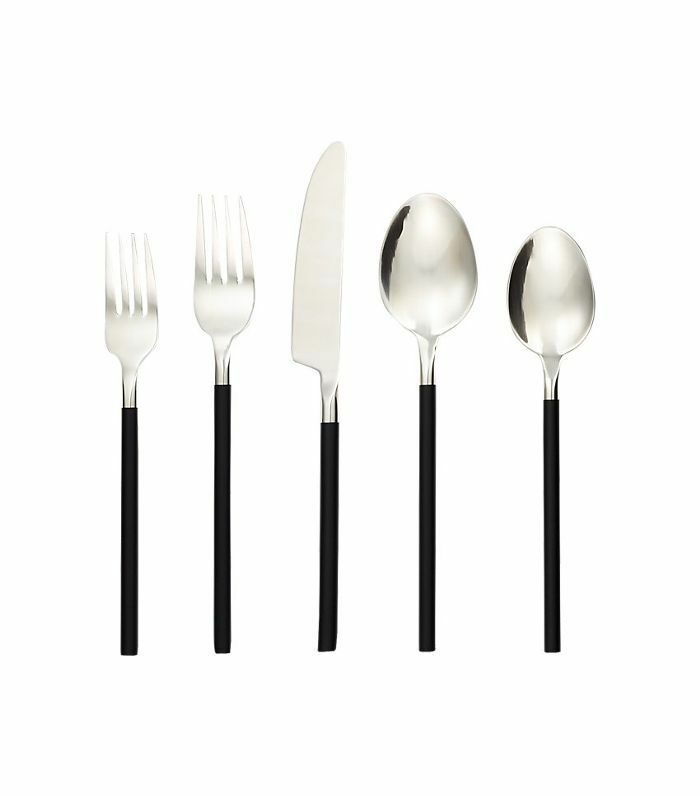 We love this ultra-skinny flatware set from CB2 for an eye-catching contemporary look. 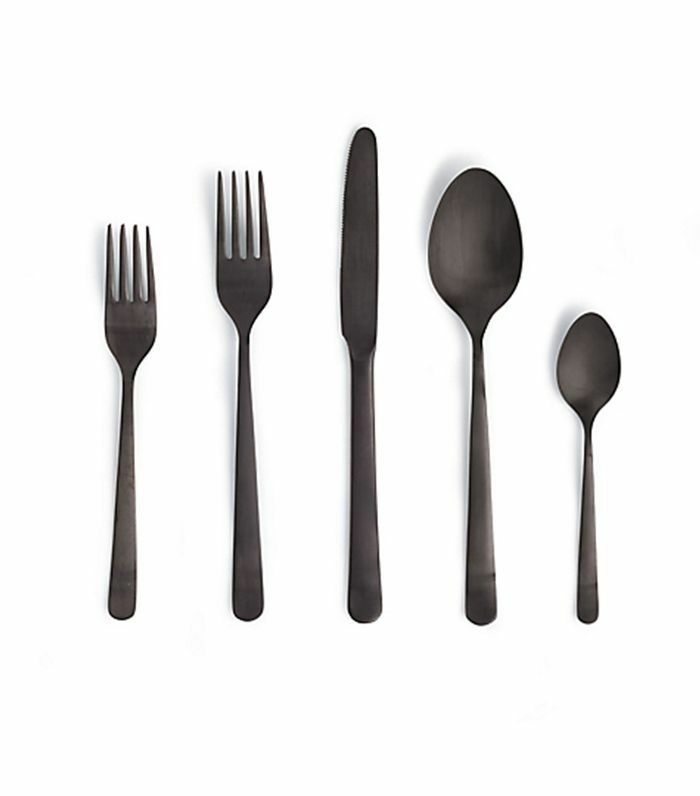 Give your table a dramatic air with this shiny black Italian flatware set. 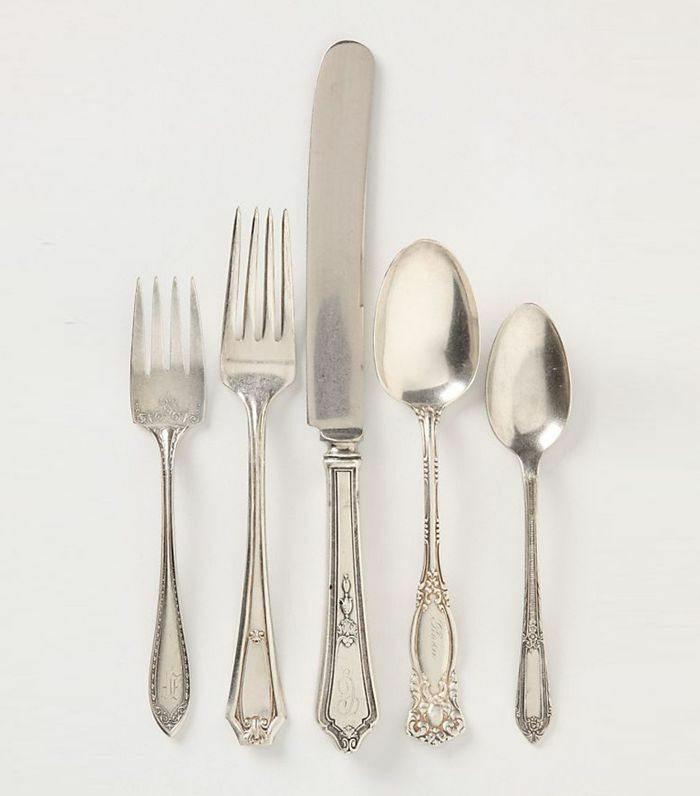 For a truly classic look, opt for Anthropologie's Rediscovered flatware set, which features mismatched antique pieces. 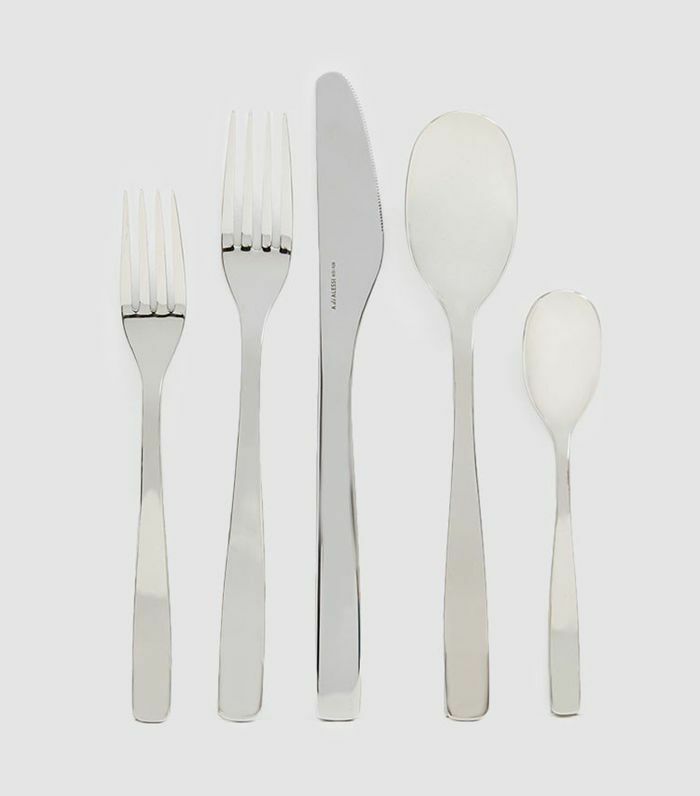 For good-quality everyday classic flatware, this set from Snowe is ideal. 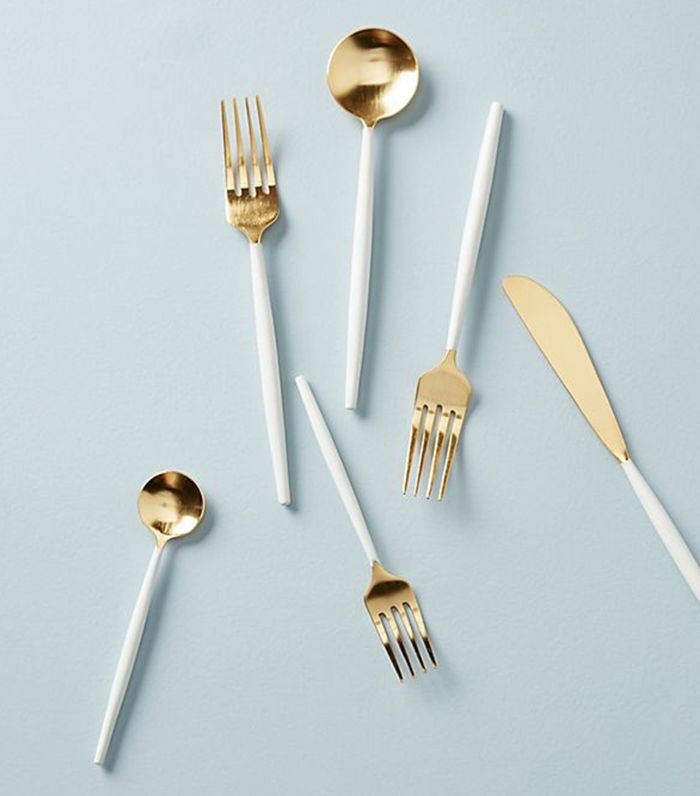 Infuse your table with personality with this chic gold and cloud blue flatware set from Anthropologie. 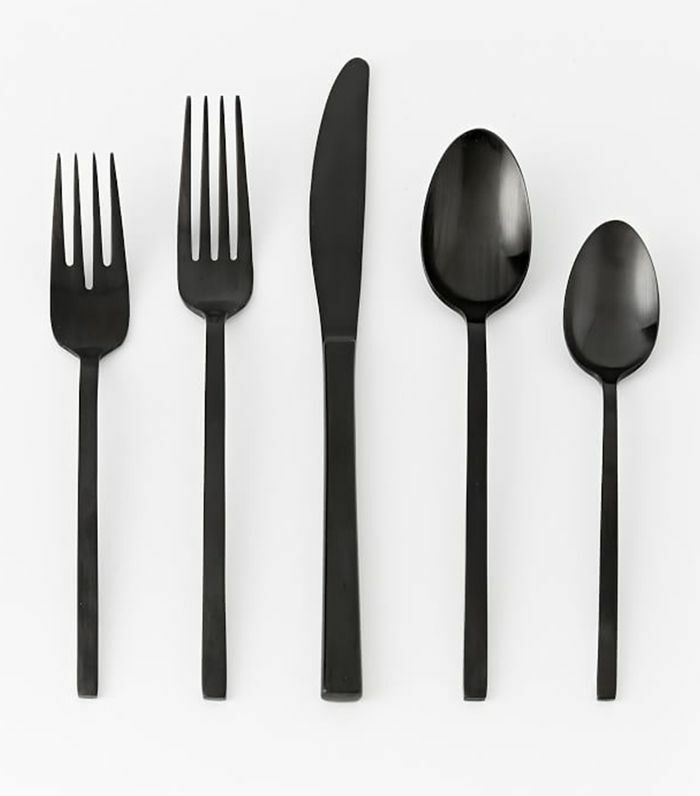 This minimalist matte black flatware set from West Elm is just what your modern table might be missing. 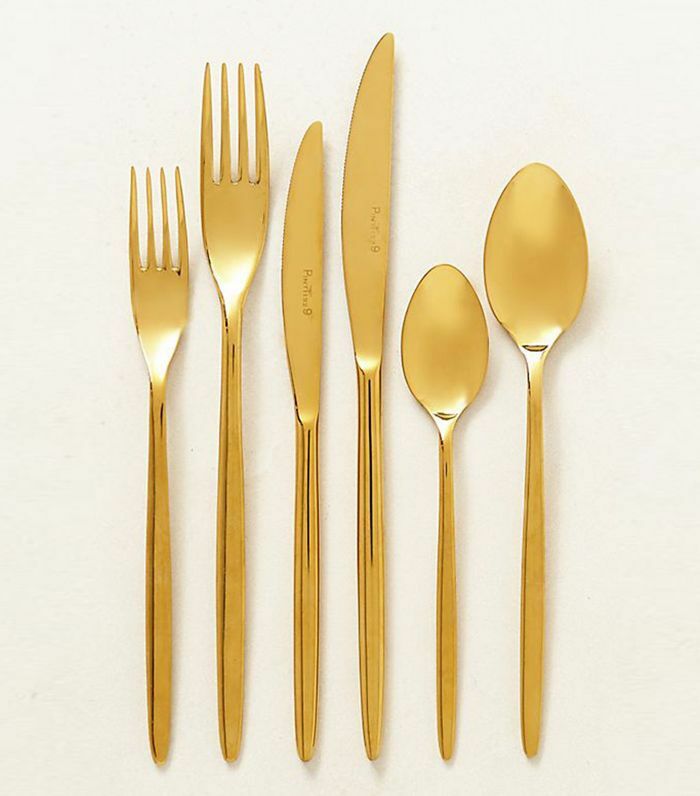 This gold Anthropologie flatware is shiny and dainty—just like the jewelry of your table.